Step 1. 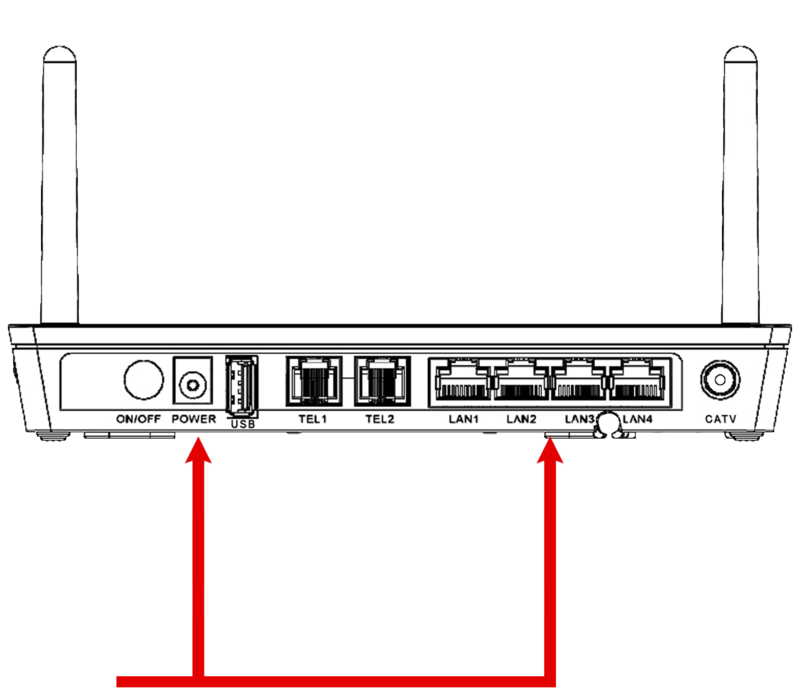 Ensure that the device/indoor unit (IDU)/modem has power. Step 2. Check that the on/off button is pushed in & turned on. Step 3. Check that the power adaptor or cord is connected to the device and plugged in to an appropriate power source. Step 4. 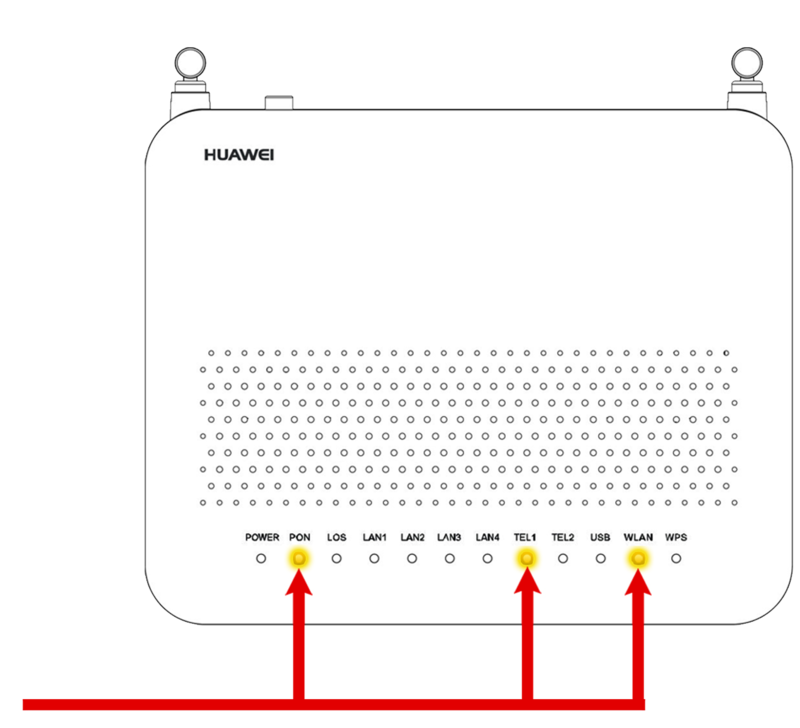 Ensure that all wires are connected and plugged in to the device/indoor Unit (IDU)/Modem. Step 5. If device fails to power on, proceed to enter a fault by dialing 119 as this issue may be due to faulty equipment. Step 1. Check and confirm that the lights are ON or OFF. The lights on the modem indicate the service status. These lights should be yellow and stable (not blinking). Step 2. If none of the lights are on, the issue may be the power source/outlet. Use another appliance to confirm that the source of power is functional. • DigiNet: Connect with another device to confirm. The most reliable way to verify is to connect using a LAN line. You may also perform a speedtest, to confirm your internet speed. Step 4. If this does not resolve your issue, please call 119 to report your fault. Step 2. Perform a speed test through an app like www.speedtest.net (by Ookla). a). Be sure that you are connected to Belize Telemedia Limited server, Belize City. Step 3. 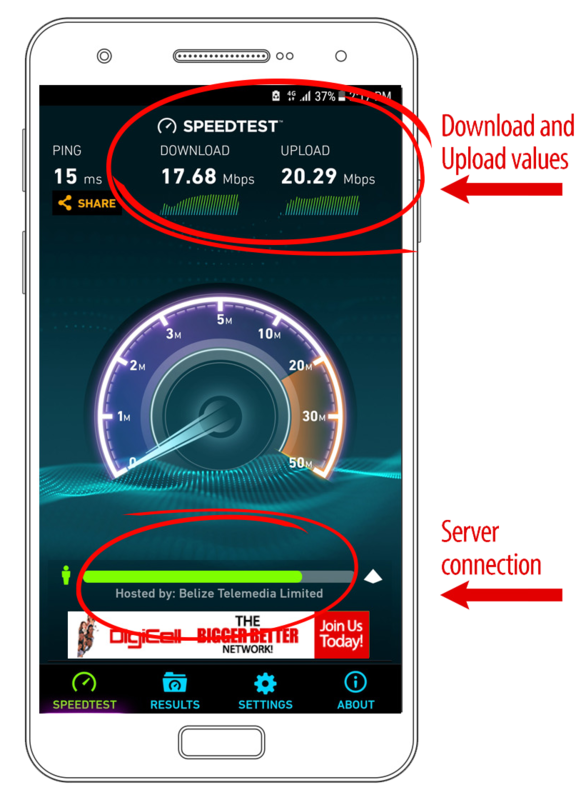 If the speedtest has a download and upload values/speed less than contracted speed, register the fault with these values by calling 119.
b). lf you can't see or connect to Belize Telemedia Server, it is more than likely to be a bigger issue. Step 4. If there is no download and upload values/speed, check a neighbor or a friend that has DigiNet and lives nearby if they have a similar issue. If so, please call 119 to report your fault.